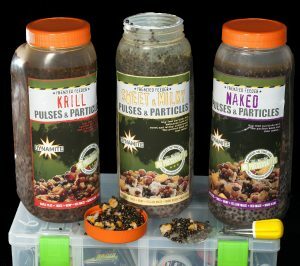 The Adrenaline Baits Mix and Go comes under the beady eye of Angler’s Mail tackle editor Richard Howard. He’s the No.1 products inspector, checking out loads of quality kit every week. BAIT wizard Leighton McDonnell was inspired by Christmas to tempt his latest huge chub. 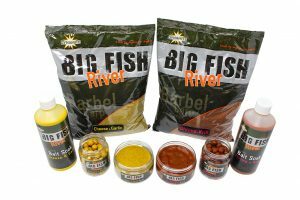 TWO of the biggest international players in the fishing bait world have pulled out of the United Kingdom. 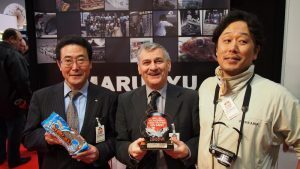 Happier times for Marukyu, when former UK chief John Loftus (centre) led them to awards here. THERE are brilliant prizes for the new season in Angler’s Mail print magazine and its famous Fish of the Week contest… every week! 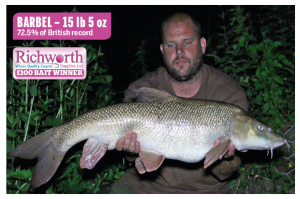 Fish of the Week now mean big prize boxes from Richworth. LOOKING for a job in fishing? 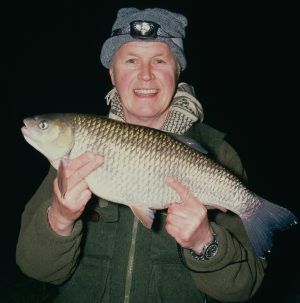 Here’s one that’s come to the attention of Angler’s Mail and it could be right up your street, so read on…. 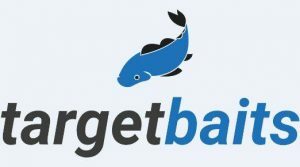 There’s a job going at Target Baits as they keep growing. The Dynamite Frenzied Pulses and Particles come under the beady eye of Angler’s Mail tackle editor Richard Howard. He’s the No.1 products inspector, checking out loads of quality kit every week.